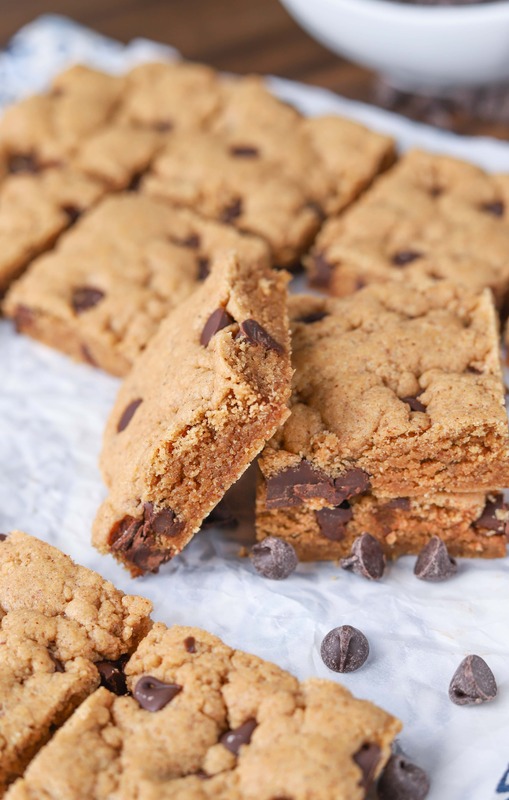 Soft, chewy and studded with chocolate chips, these Chocolate Chip Almond Butter Bars only dirty one bowl and are super easy to make! It’s been since the beginning of February since chocolate has made an appearance here. That’s obviously way too long! Mainly because that also means there hasn’t been chocolate in our house for that long. My husband and I aren’t big dessert eaters, so if there isn’t a birthday or holiday to celebrate, we usually don’t have dessert in the house. And since there haven’t been any holidays and birthdays around here lately, desserts have been scarce. 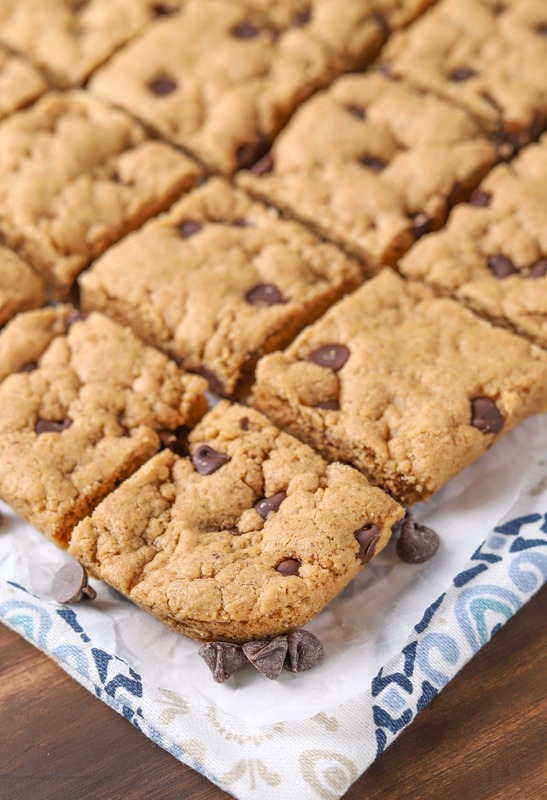 However, I was looking at these chocolate caramel almond butter bars the other day and it made me want to make dessert. Preferably dessert with chocolate in it! I also had less than a cup of almond butter left that I wanted to use up. 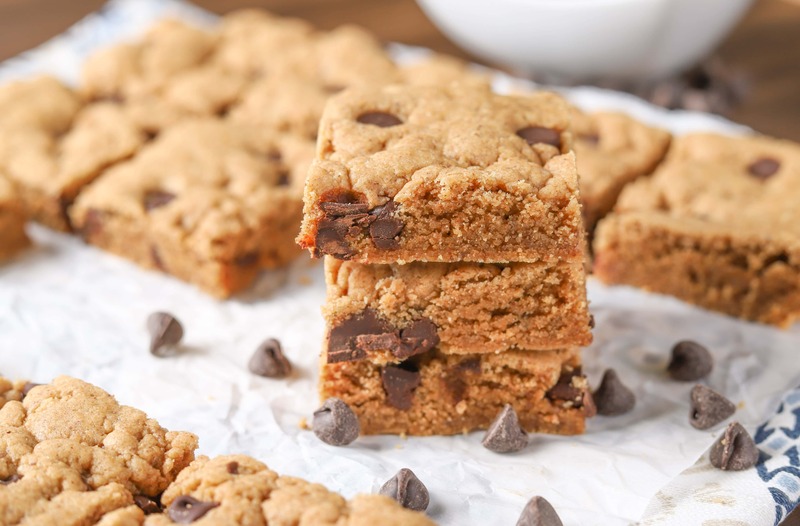 These result was a twist to those almond butter oat bars that we love. Caramel bits and oats are left out and a bit more chocolate is added! 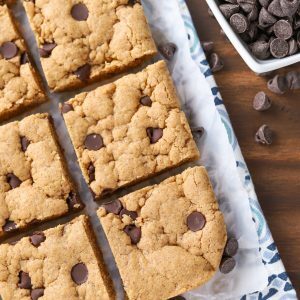 I know these chocolate chip almond butter bars aren’t loaded with chocolate, but there’s just enough sweetness from the chocolate chips to pair with the rich almond butter (and to cure a chocolate craving!). That, and I didn’t add a ton of chocolate to these bars, because I wanted my husband who doesn’t like a lot of chocolate to enjoy them. And he did! How could he not?! Soft and chewy. A little salty and a little sweet. And the best part? You only dirty one bowl! 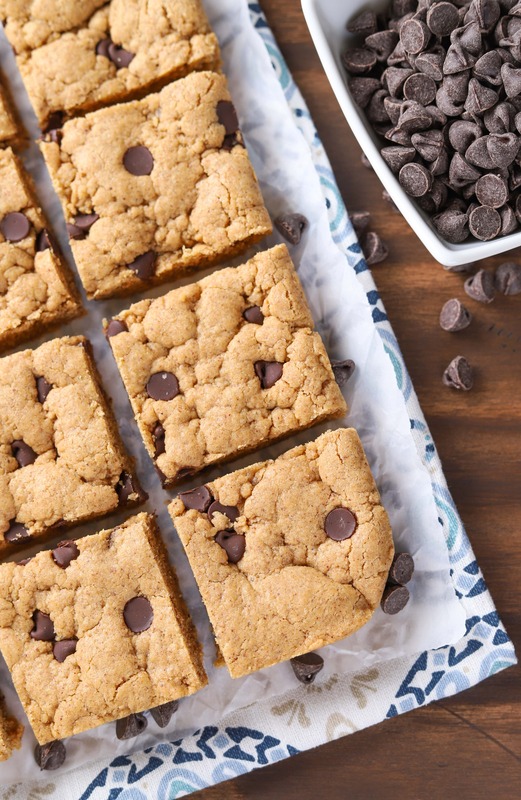 These one bowl chocolate chip almond butter bars will definitely be making more appearances in our kitchen! In the bowl of stand mixer, or with an electric mixer, beat together almond butter, coconut oil, brown sugar, and sugar until combined. Add in egg and vanilla extract. Beat until creamy. Add in flour, baking soda, and salt, Stir until combined. Stir in chocolate chips. Press dough into the bottom of prepared baking dish. Bake for 12-15 minutes or until edges just start to turn golden and center is set. Remove to a wire rack to cool for 10-15 minutes before cutting into bars and serving.